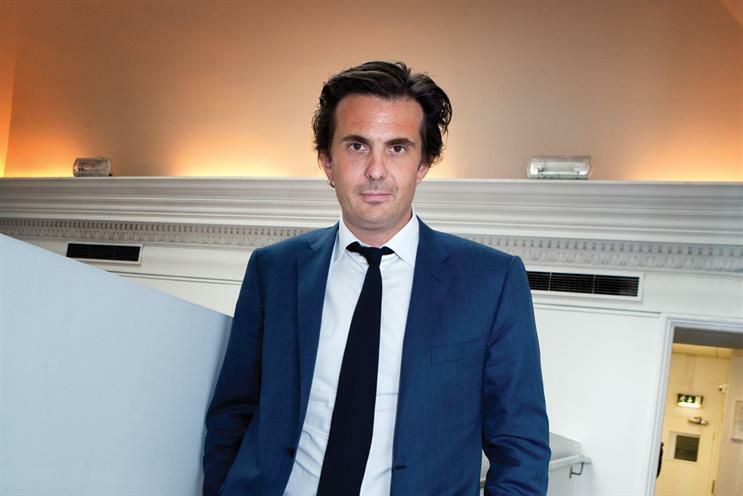 Yannick Bolloré, the chief executive of Havas, has called Chris Hirst, the incoming chief executive of its creative business across Europe, a "UK star" as it reported its 2014 full-year results. Speaking at a conference call on Thursday afternoon, Bolloré said the appointment of Hirst would see the UK business become the headquarters of the "greater Europe" region for the first time. Bolloré said: "The UK will be at the centre of Europe. It’s more relevant to be organised like that as our clients are often headquarted in the UK. We have a strong ambition in London." He added that Havas has taken an "entire building in King’s Cross", between the upcoming Google office and Central Saint Martins, for its European headquarters. Bolloré described Hirst, who was the managing director and then chief executive of the WPP-owned Grey since 2003, as a "UK star". Hirst is expected to start his new role in September after a period of gardening leave. "I think it’s a great proof that a sea of talent wants to join us," Bolloré said. Havas will employ the "village" approach, which was first adopted in France four years ago; there are currently 26 globally. "In the next one to two years, all the group will be organised this way," Bolloré said. The company reported revenue of €1.9 billion (£1.4 billion) in 2014 and €551 million (£408 million) in the last three months of the year, when organic growth slowed to 3.5 per cent. Bolloré described the fourth-quarter performance as "very satisfactory" despite the grwoth slowdown, which was linked to a flat performance in Europe. Sales slid 2.5 per cent in France, although they grew 3.2 per cent in the UK. Fourth-quarter organic growth was 5.4 per cent in North America, 10.8 per cent in Asia-Pacific and Africa, and 5.2 per cent in Latin America. The UK was among the star performers last year, with full-year organic growth up 9 per cent, "driven mainly by media, data and healthcare communications". Growth across Europe as a whole was 4.1 per cent, while North America was up 5.4 per cent, Asia-Pacific and Africa 10.8 per cent and Latin America 5.2 per cent. Bolloré, who is also the chairman of Havas, said he expects the company to report organic growth of 3-4 per cent and be "less cautious" about acquisitions in 2015. He pointed to positive developments such as falling oil costs, which he hoped would help stimulate Europe, although he did not expect France to be a "fast-growing market". A version of this story first appeared on PR Week.